Financial Advisor SmartAsset conducted a study which ranked American cities to see where it is best to sell a home. They looked at a five-year change in home values, percentage of homes sold at a loss, days on market, closing costs, and quantity of real estate professionals per capita. With three cities in the top 5, Arizona leads the pack. Glendale made #1 namely because of its low days on market and the fact that only 3% of homes sold for a loss. Gilbert has a lot of real estate offices, and like Glendale only saw 3% of homes selling for a loss. 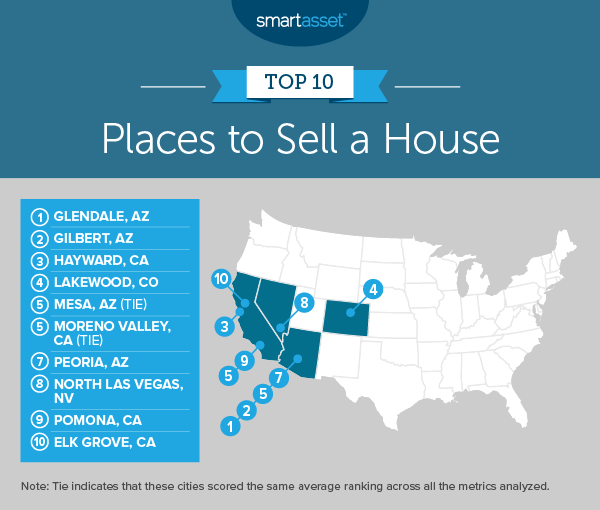 Homes in Gilbert, however, stayed on market a bit longer than Glendale. Mesa ranked fifth, scoring high across the board. For every factor considered, Mesa ranked in the top 30% of U.S. cities. The fact that Mesa is also ranked as one of the best cities for early retirement also helped Mesa make the top 5. For those looking to sell, only one Valley team sold more East Valley homes than anyone else last year – The Klaus Team. Call the Klaus Team today at 480.354.7344 to schedule a free home value consultation.